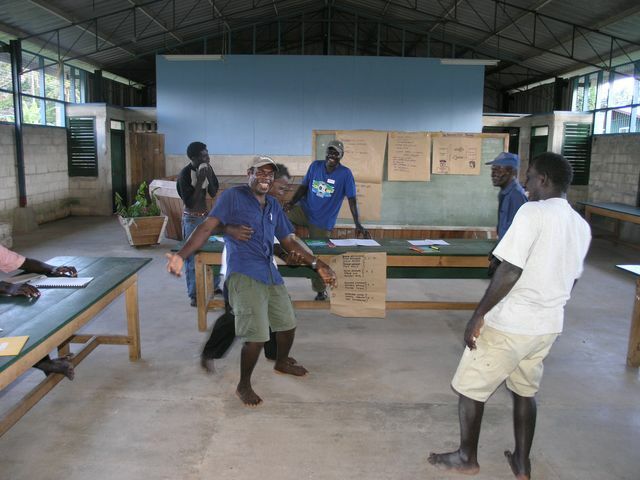 Dads Program Into Evaluation and Planning. Dads on boat MV Camilo for the Meeting. 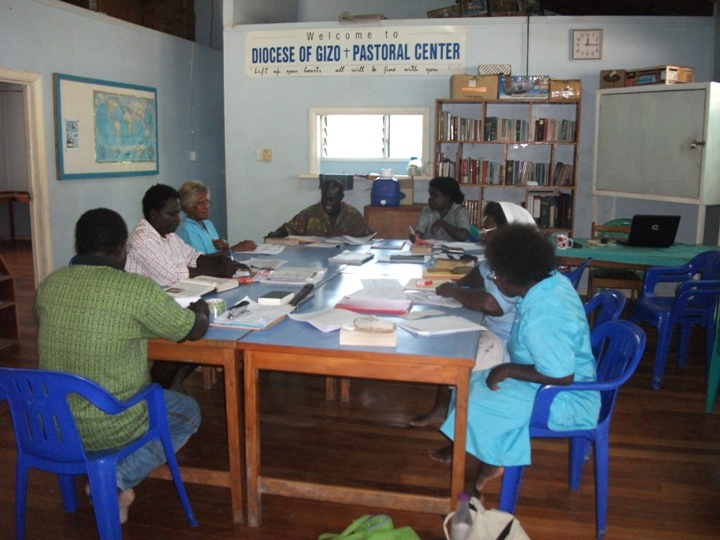 A TOTAL of 32 Daddies Participants attended a two-day Evaluation and Planning Meetings for the Fathers here in the Diocese of Gizo from the 11th and 12th November. 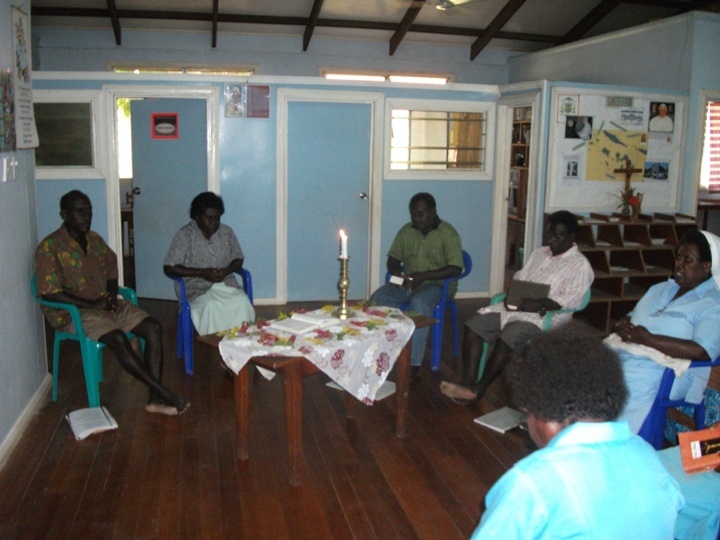 To lead them into the program, groups were formed to involve them into spirituality of the meeting and each group has time to lead choruses, prays, bible readings and sharing. 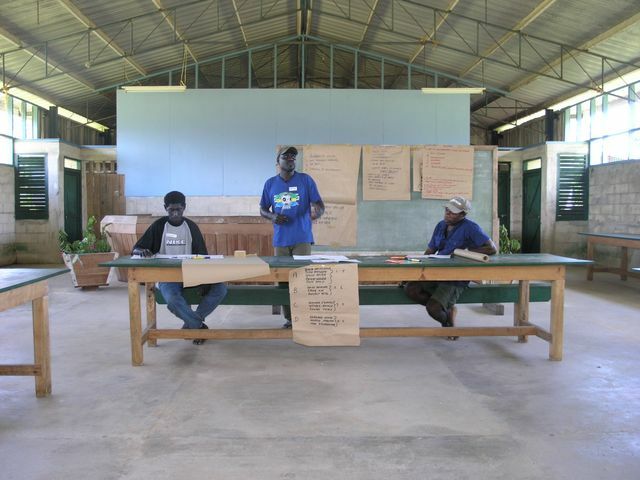 The program was facilitated by Joseph Lalaubatu and Rellysdom Malakana from the Diocesan team, who challenged them to be fully committed to carry out the program around their parish. At the end of the meeting participants planned for the 2011 Men’s Rally on December. Committee was formed to raise $300,000 for the rally. 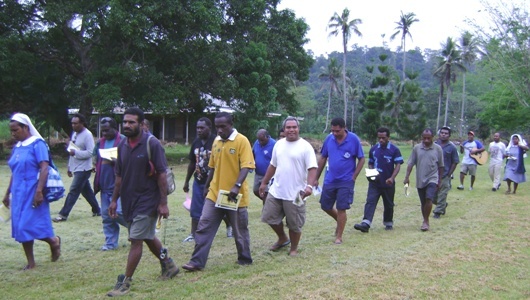 The Catholic Diocese of Gizo Pastoral Team has implemented a program called “HEY DAD” - a parenting education program for daddies. 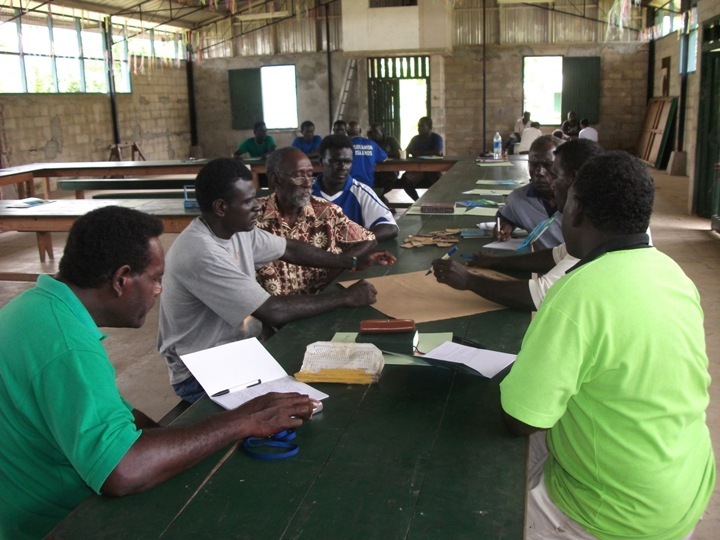 A series of training of trainers was conducted at each Parish venues for a total of sixty-five (65) selected daddies of Wagina, Nila, Moli, Sirovanga, and Gizo & Noro Parishes from January 19th – June 6th. 19 participants successfully attended the Hey Dad’s Train of trainers Seminar from 8th to 12th March at Nila Catholic Mission Station. 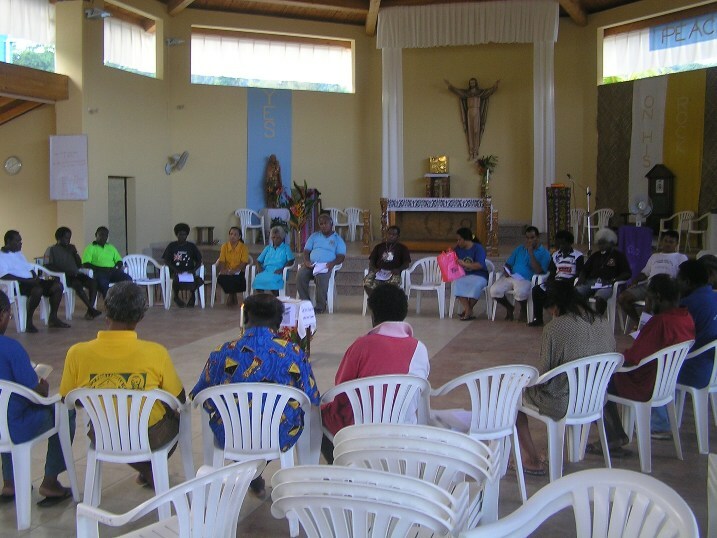 Participants are from Moli, Kavata (Choiseul) and Nila (Shortland Islands)parish. Fifty two men from the Western and Choiseul Provinces recently trained as leaders of a programme designed for fathers, called Hey Dad!. Hey Dad! has been very popular in Australia since 1996. The Solomons men are now presenting Hey Dad! in their own villages and in their own languages. 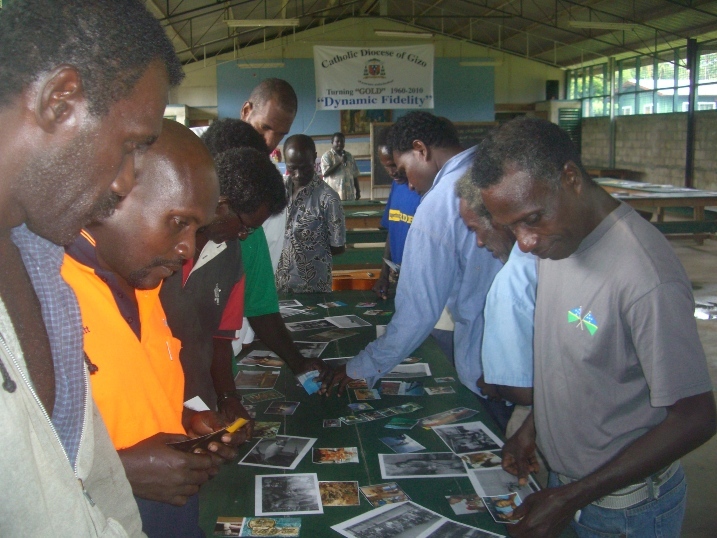 Dads are enjoying the chance to learn new ideas about caring for their children through Hey Dad!, which has so far been translated into Pidgin, Warisi, Alu and Kiribati. 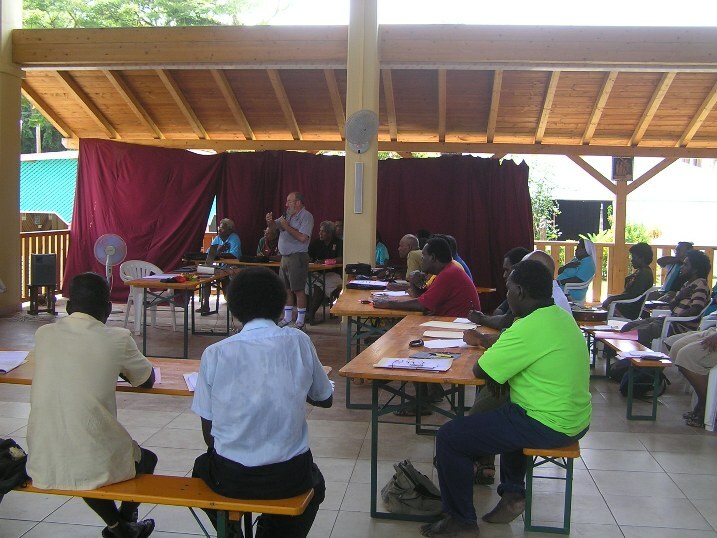 David and Penny Kerr travelled from Sydney to introduce the course and were guests of the Catholic Diocese of Gizo, supported by a grant from the Sisters of Charity Foundation in Australia. Penny helped to write this programme originally. 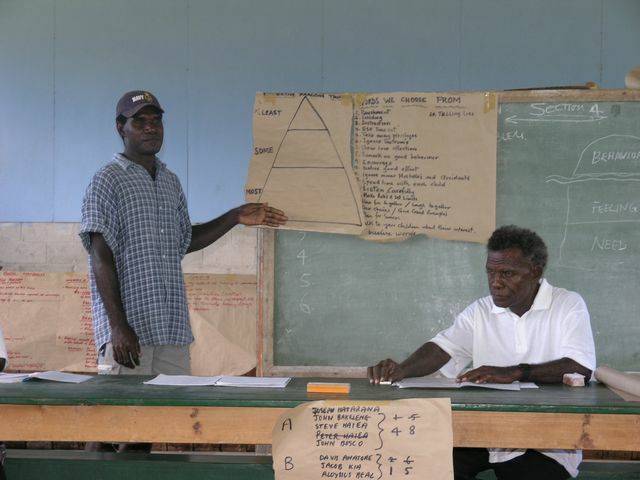 She has now adapted it for use in the Solomon Islands. 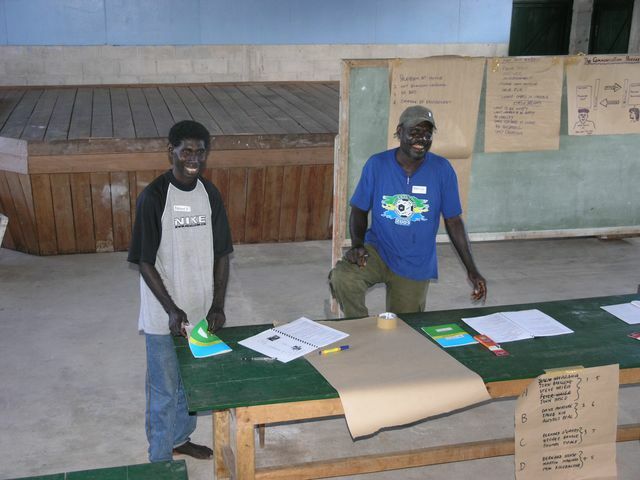 In the Western Province, David and Penny gave training courses in Gizo and in Nila (Shortland Islands). In Choiseul, the venue was Moli. 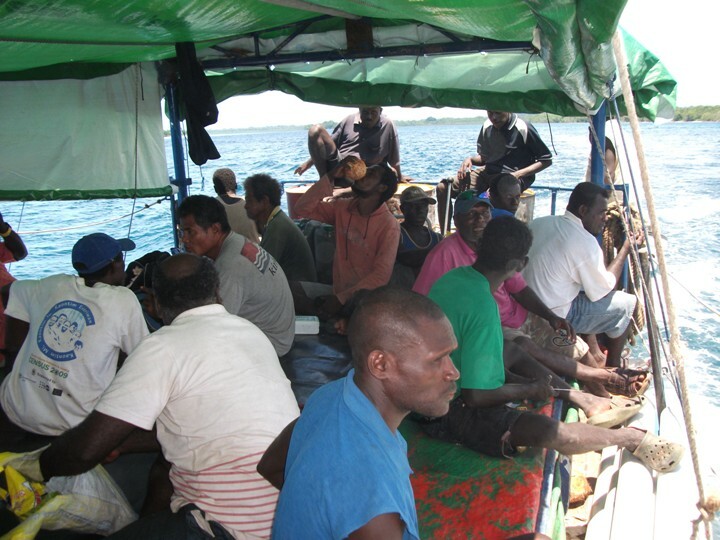 Men came to each venue from local villages as well as from outlying places - for example, people came to Gizo from Wagina and Ringgi Cove, to Moli from Sirovanga and to Nila from villages throughout the Shortland Islands including Toumoa, Gomai and Maleia. Training took four days. The programme does not attempt to push predetermined ideas but instead draws from the shared experience of dads in the particular culture where the course is run. On the first two days, David and Penny went through the eight sessions of the Hey Dad! course in detail. 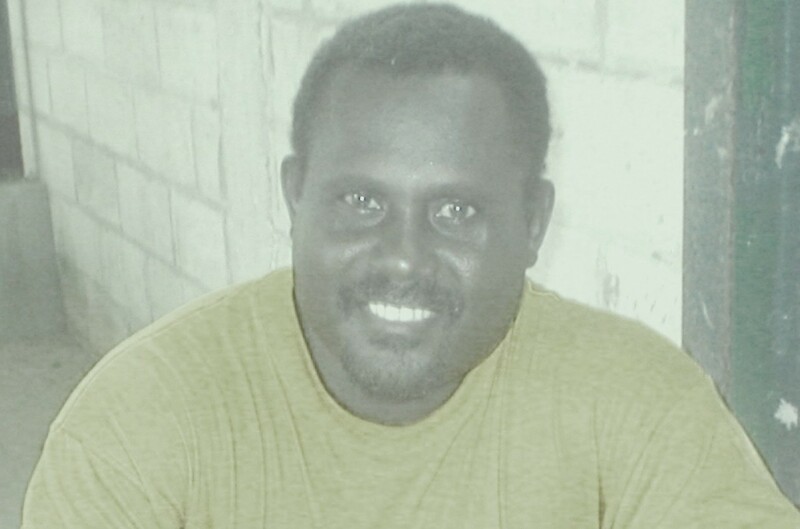 The trainee leaders thought about the father's role in the family, and about such topics as communicating well with children, discipline, solving problems and encouraging self esteem. 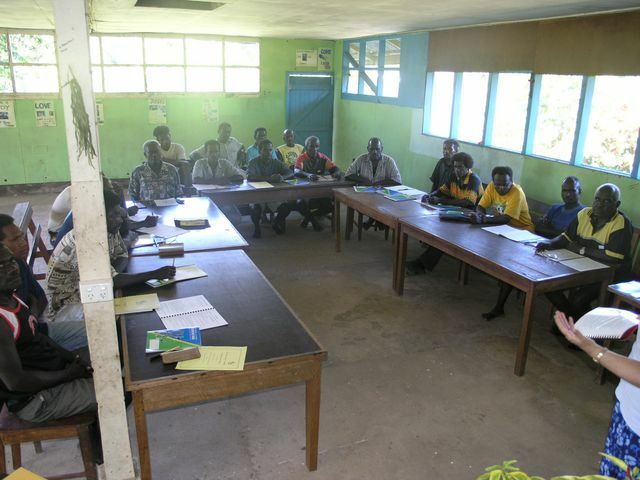 On the third and fourth days, the trainees worked on their talks in their own language and then presented them to the other members of the group, so that everyone went home ready to teach other fathers. Hey Dad! has been very enthusiastically received. Everyone enjoyed the chance to think carefully about their family, to remember the positive and negative experiences from their childhood, to realise what good things they are doing in their own families and what could be improved. There was lots of discussion and sharing of ideas. There was also a very positive response from the men's wives who were pleased that their husbands were giving up their time to encourage better families in the community. 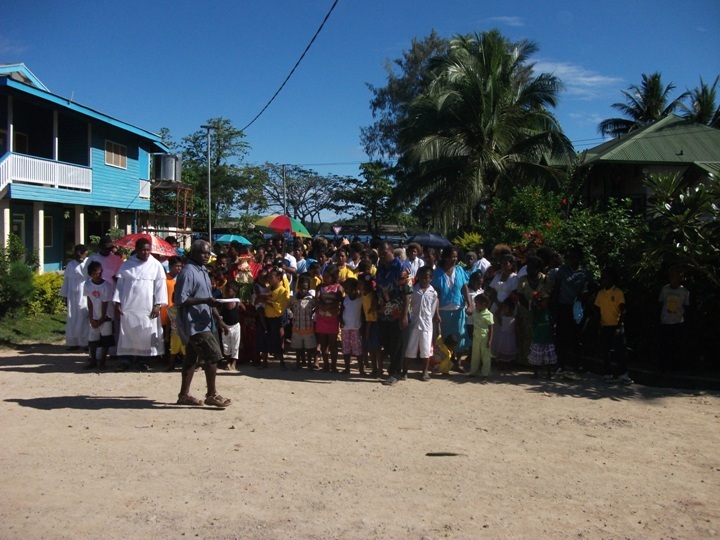 Children ready for accompany other groups Loga and Nusabaruku Community with the Statue of Mary. The month of the Rosary (October) which is the month of our Lady of the Church challenged many Catholic believers to come out and exercise their faith as Catholics. 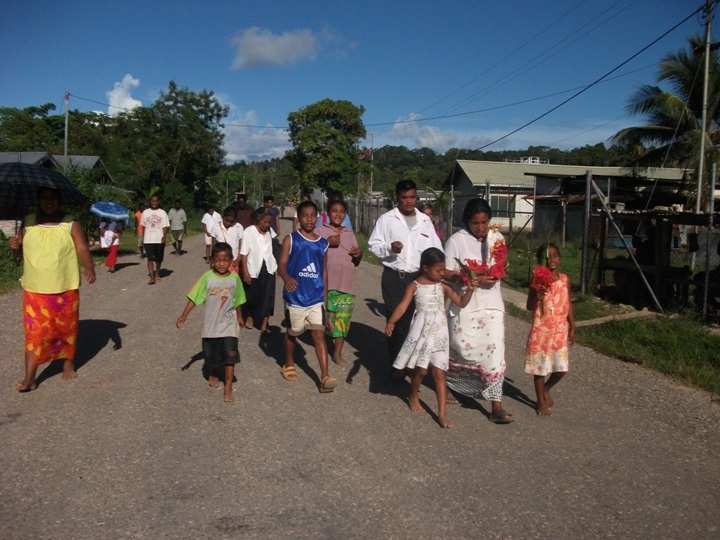 The procession from water pump area, through the main street of Gizo and to the St. Peter’s Cathedral was one of the unique processing which challenged adults and youths to come up and participate. Sunday school children took part during the procession. They took part by reciting the rosary. At the cathedral they joined up with other groups to process through the church. The month of Mary began its launching on the 3rd of October where statues of Mary visits homes till the celebration of its closing on the 31st of October. Similar celebration was done through out other parishes. A 2 week program from 19th—27th really challenged the Diocesan Pastoral team to evaluate its program starting from the beginning of this year till towards the end of this year. 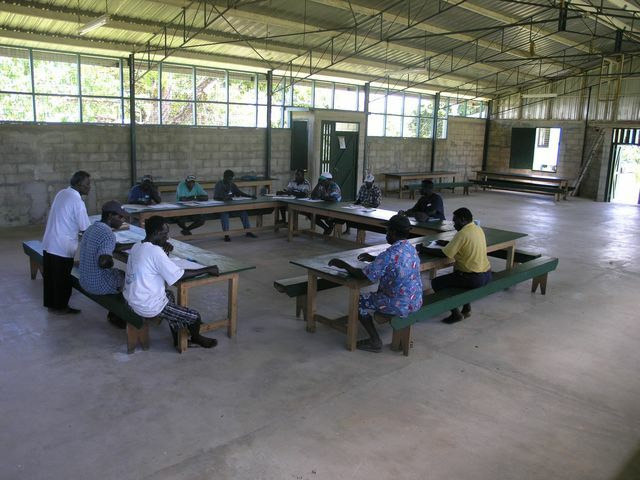 The program included: evaluating the Pastoral Activities such as Seminars, Events and Retreats and also planned out the programs for the year 2011. As Part of the Program, Pastoral Team on Bible Sharing. Pastoral Team Discussing during Evaluation & Planning. The main purpose for the evaluation is to try and bring up activities down to village level, which may involve more participation from the parishioners. A Pastoral plan draft was made for the up coming meeting with Bishops, PP and the DPTA to be finalized. 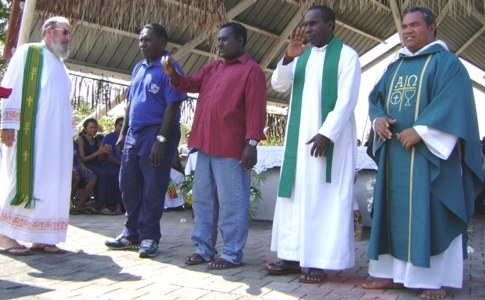 Diocese of Gizo Team During Farewel Mass Celebration. Participants. 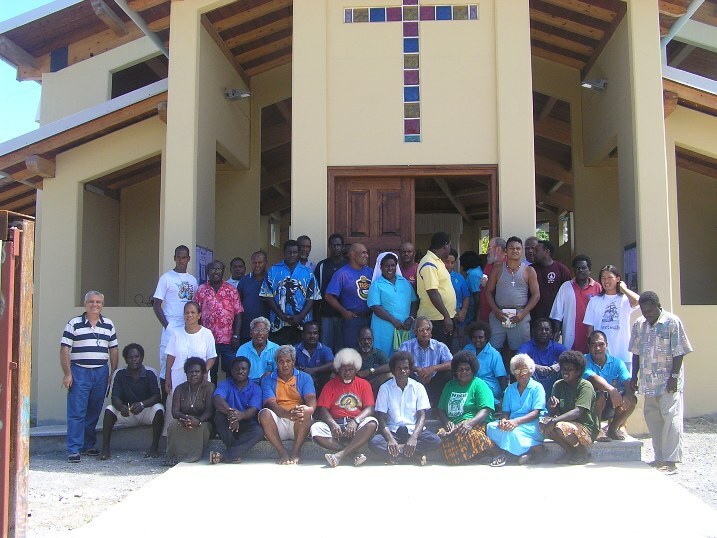 THIRTY-EIGHT participants representing their parishes attended a one week Diocesan Pastoral Renewal & Spiritual of Communion Seminar from the 15th to 21st February in Gizo. 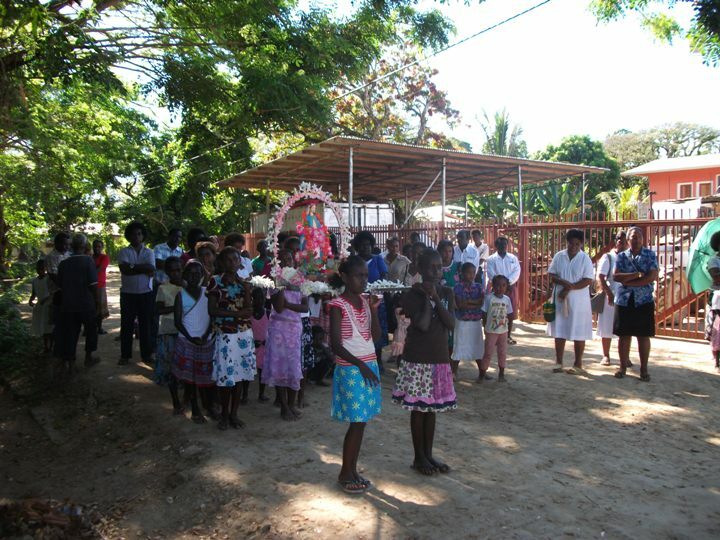 The program includes lay pastoral workers from the diocese and parishes including the Bishop of Gizo, the parish priests and the Religious.